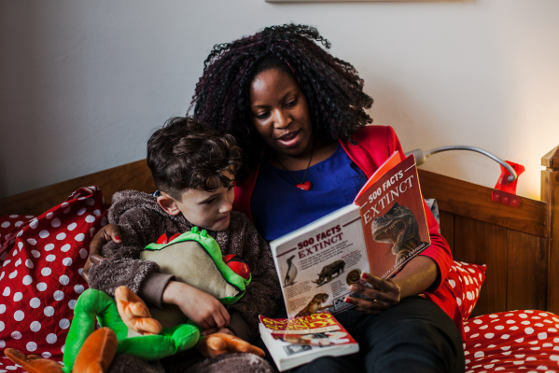 A Fostering for Adoption placement will only be made where there is clear evidence to the Local Authority that there is little likelihood that the birth parents can resolve their problems or that other family members known to the Local Authority can care for the child. Fostering for Adoption places a child with approved adopters who are also approved as foster carers, known as dually approved carers. Another route adoption agencies can use is to approve adopters as foster carers for a particular named child. During the fostering stage of the placement the court will weigh up what is in the child’s best interests in the longer term. The fostering for adoption carers need to be able to deal with the uncertainty of this period before the court’s final decision. If the court agrees that the child should be adopted and the adoption agency approves the ‘match’ between the carers and the child then the placement becomes an adoption placement. The child is placed with carers who may become their adopters at an early stage and avoids multiple placements for the child. It will avoid the stressful upheaval for the child if he/she has to move from foster home to a new adoptive family once a court have reached a final decision. The bonding period between the child and adoptive parents can begin sooner thus creating a secure and loving family life for a vulnerable baby or young child. During the fostering stage of the placement you may be asked to bring the child for contact with members of the birth family at a supervised contact centre. You would need to think about the possibility of the court not agreeing with the local authority’s plan for adoption and the child returning to a birth family member. Occasionally a relative comes forward during court proceedings who was not previously known about and can offer a permanent home to the child. You would then need to work, together with the local authority, to manage this in the most sensitive way for the child. It can be a very distressing time for the Fostering for Adoption carers, even though it is judged to be the right thing to do by the court. Although distressing for you – the carer(s) – you would have given the child an experience of loving care and a stable home during an uncertain time in their young lives before a final decision was reached by the court. Many agencies run preparation groups for those considering Fostering for Adoption where these issues are carefully discussed to help you consider if this route to adoption is right for you. You would also have the opportunity to discuss this further with your social worker so that you can be clear about the task you would be undertaking. It is highly likely that many Fostering for Adoption placements will be made with adopters who have already adopted a sibling of the child. But currently local authorities and voluntary adoption agencies are also identifying other circumstances in which they can consider early permanence placements for babies and young children who are unlikely to return to their birth families. Finding child-centred solutions that prevent delay and multiple placements is encouraging local authorities to consider carefully the options of Early Permanence for Young Children. 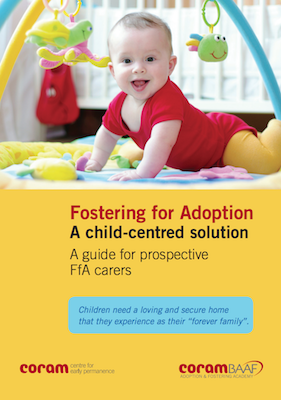 Further information can be found in ‘Fostering for Adoption – A child-centred solution’ by CoramBAAF.